Looking for a Glock 29 paddle holster that can stand up to a lot more than the typical paddle holster? 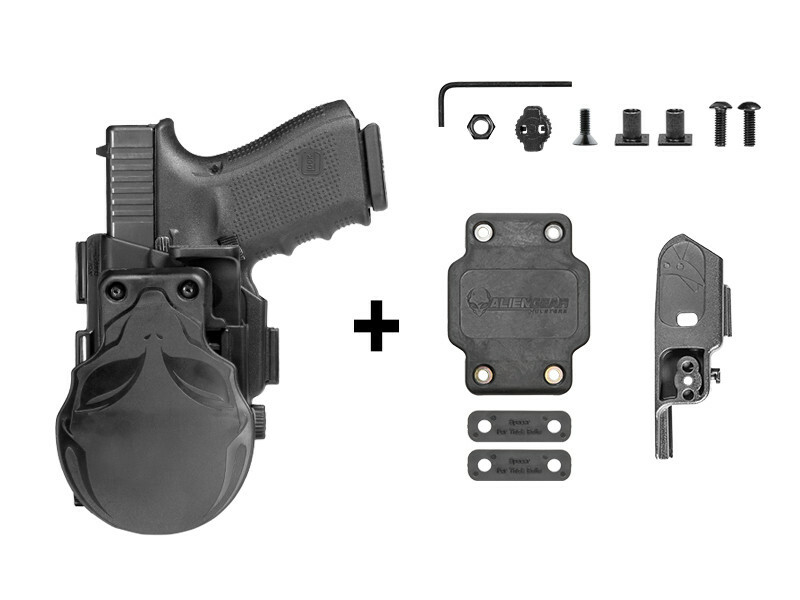 The ShapeShift Glock 29 Paddle Holster is designed to do exactly that. This is a durable OWB that's been created to carry through any conditions without breaking a sweat. This Glock 29 paddle OWB is custom-molded for the Glock 29, guaranteeing a perfect fit right out of the packaging. 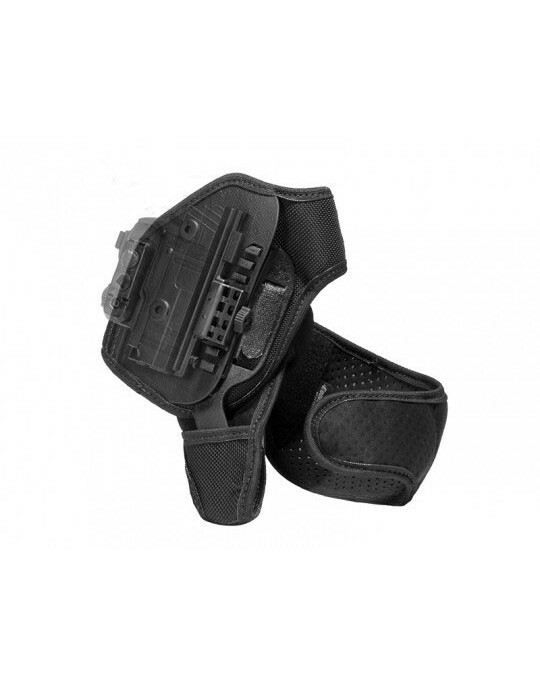 You won't have to worry about the lead time or the break-in period of the typical custom holster. It comes ready to grab and go. Take it out, put it on, insert your pistol and you're good. 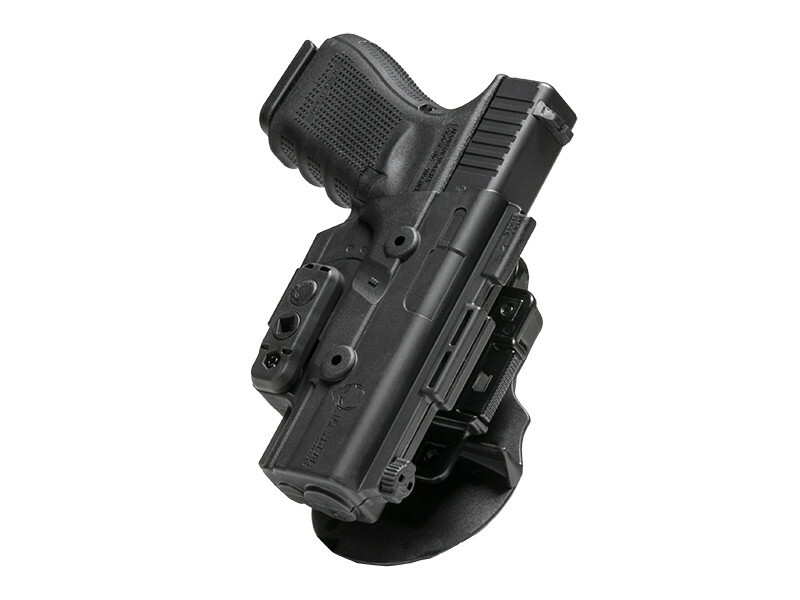 This Glock 29 OWB holster is designed for the utmost in customization. 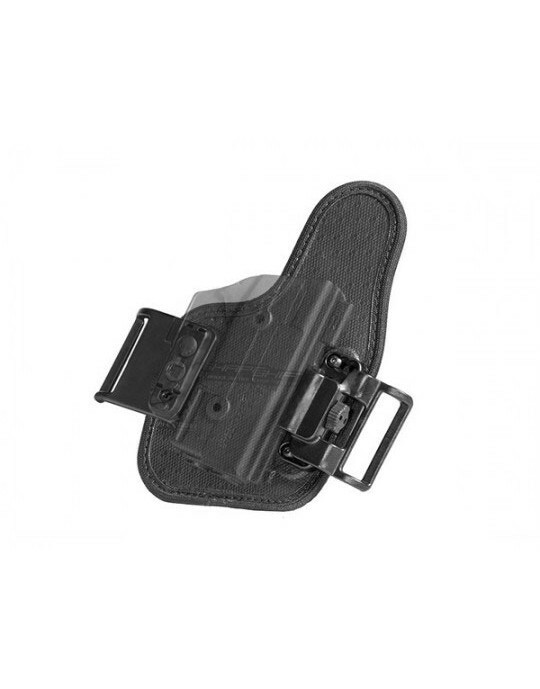 You aren't going to find any OWB holster that allows this much choice in how you wear it. 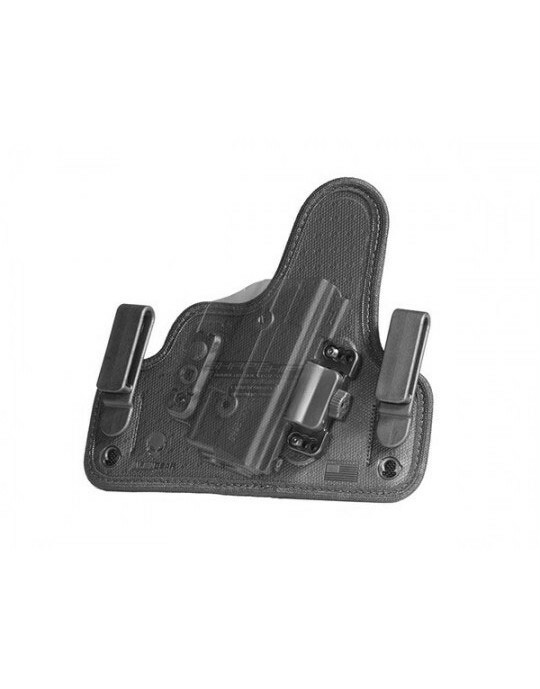 The holster retention can be set up exactly how you want. You can choose passive retention, active retention, or both. 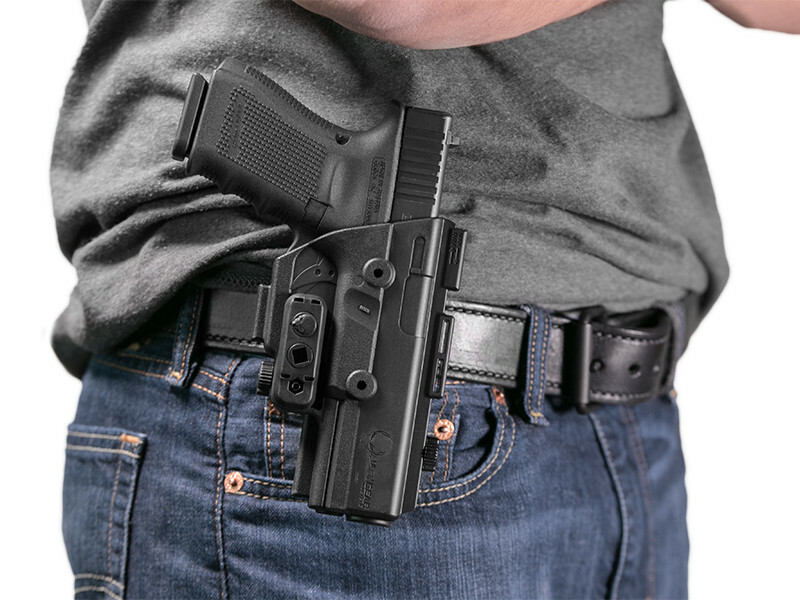 This holster, when equipped with the thumb release and passive retention, is a full Level II Glock 29 retention holster if you want to carry that way. Don't necessarily want a paddle attachment? That's fine. You can swap the paddle attachment for a belt slide if so desired. All you need is a moment or two and a hex key. We throw in the latter with purchase. 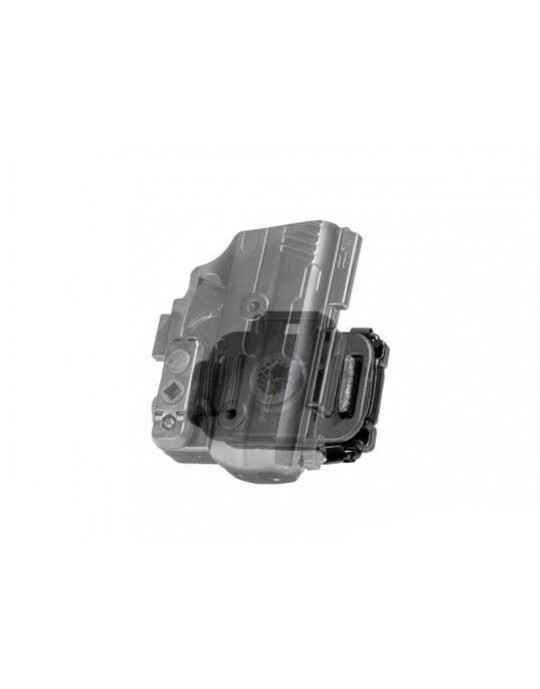 You can also adjust the cant angle of the holster, should you prefer a forward or rearward cant. You can even rotate it to the horizontal if you wish. 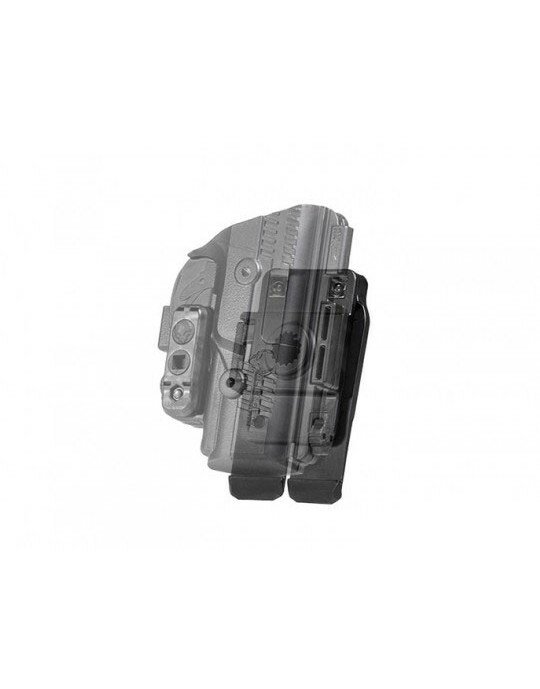 You'll also find the ShapeShift Glock 29 Paddle Holster is compatible with the ShapeShift Holster Mount, thigh platform, MOLLE adapter and backpack holster attachment. That's how versatile this holster design is. 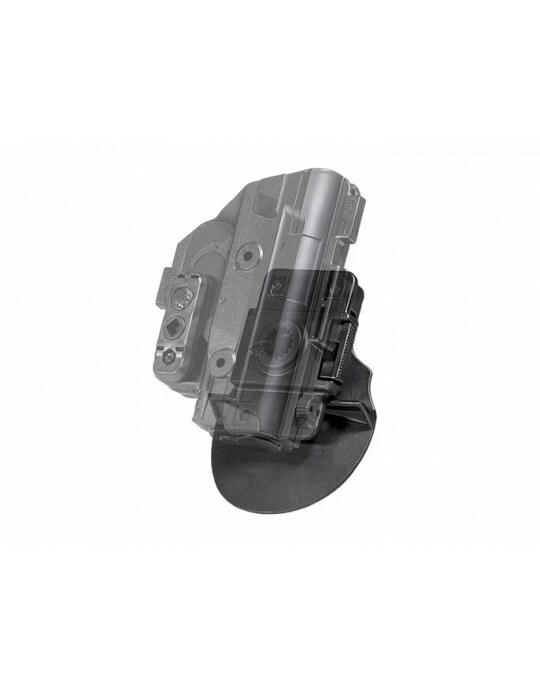 Along with these features, you also get Alien Gear's Iron-Clad Guarantee. 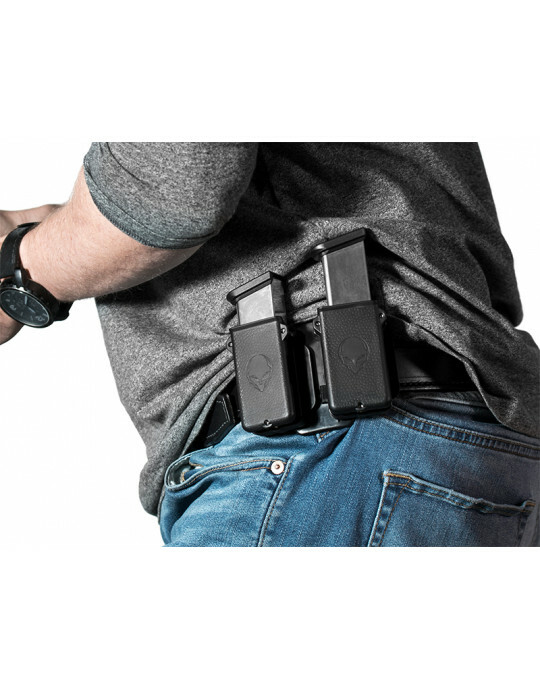 This includes a 30 Day Test Drive trial period - during which you can return the holster for a refund if unsatisfied - and a comprehensive lifetime warranty. We stand by our products, and we think you will too once you try it on.